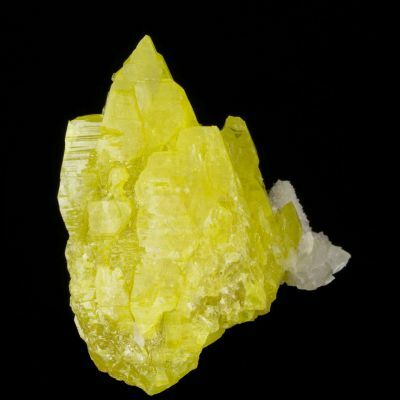 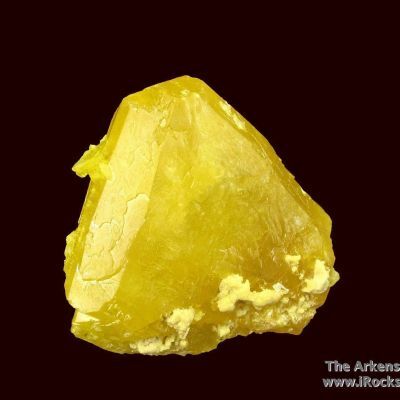 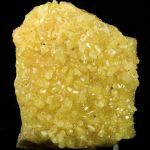 This fine Sulfur is from an amazingly gemmy batch of specimens that came out a couple of years ago from this contemporary Sulfur find. 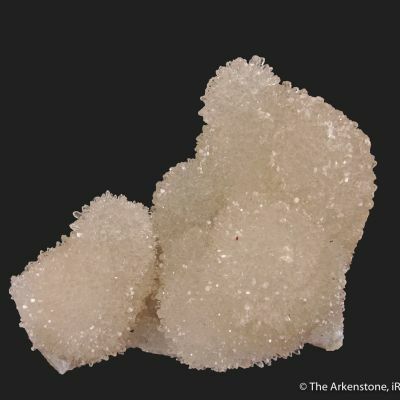 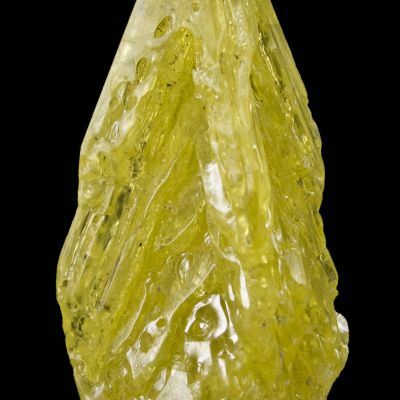 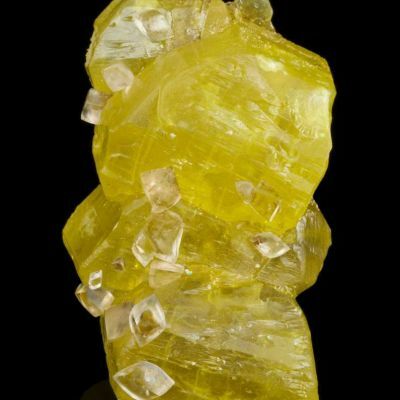 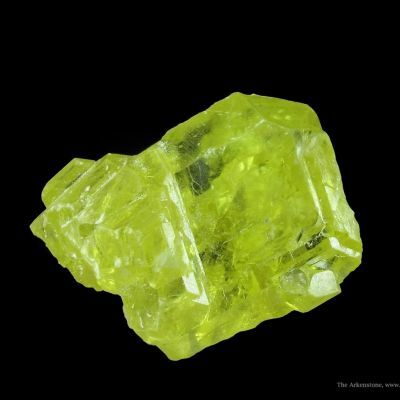 The finds of beautiful crystallized, canary-yellow Sulfur in Bolivia came at a great time, when old specimens from Sicily have become really hard to get, and only a trickle is coming from Russia. 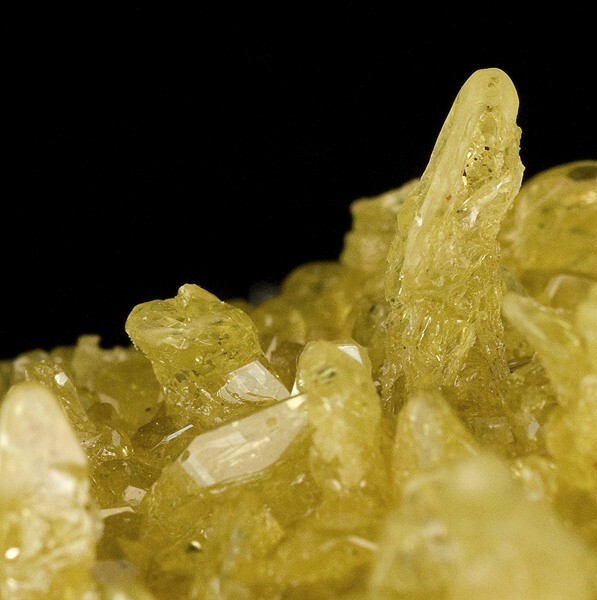 The crystals on this plate are particularly gemmy; not opaque bright yellow, but transparent and jewel-like. 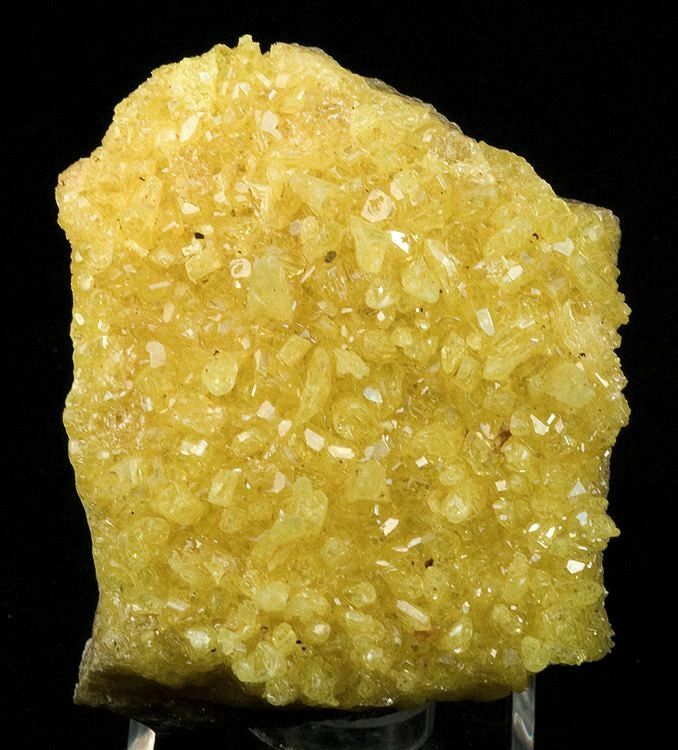 The large crystal is 1.5 cm.